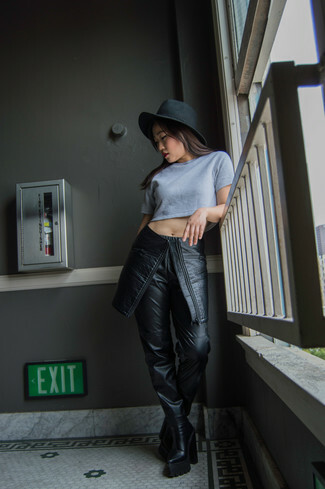 If you're a fan of practicality dressing when it comes to fashion, you'll love this cute pairing of a black sleeveless turtleneck and black leather leggings. Bring instant interest and excitement to your look with Jeffrey Campbell De Facto Ankle Boot from Urban Outfitters. If you're searching for a casual yet chic getup, team a brown leopard velvet blazer with a tan leopard silk cami dress. These items are totally comfortable and will look great paired together. Go for a pair of Jeffrey Campbell De Facto Ankle Boot from Urban Outfitters to take things up a notch. If you're in search of a casual yet totaly stylish getup, choose a black and white horizontal striped turtleneck and a black floral skater skirt. These two items are very comfortable and they will also look great when worn together. 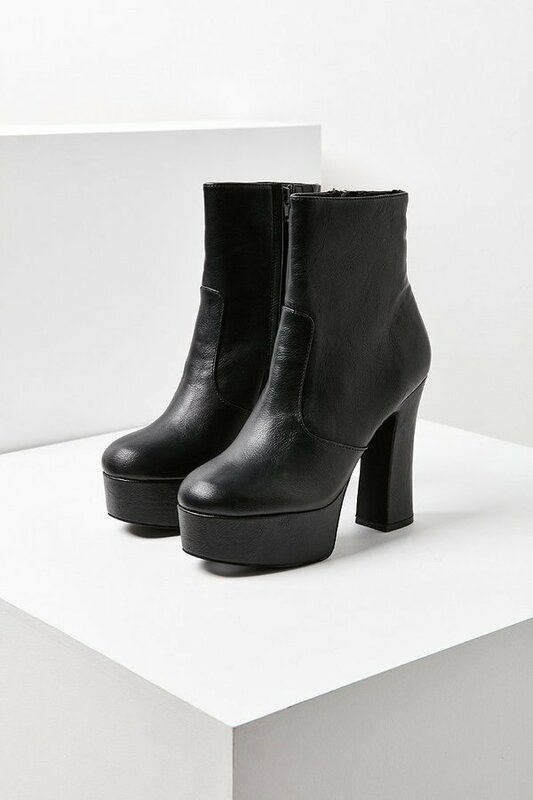 Spruce up your outfit with Jeffrey Campbell black chunky leather ankle boots. If you're a fan of functionality dressing when it comes to your personal style, you'll love this incredibly chic pairing of a black coat and blue ripped boyfriend jeans. 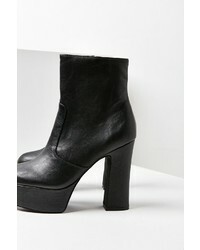 A pair of Jeffrey Campbell De Facto Ankle Boot from Urban Outfitters adds more polish to your overall look. If you're scouting for a casual yet seriously stylish outfit, team a grey cropped top with a black leather mini skirt. As well as super comfy, these two items look fabulous paired together. Add Jeffrey Campbell De Facto Ankle Boot from Urban Outfitters to your getup for an instant style upgrade. If it's comfort and practicality that you're seeking in an outfit, reach for a black bodycon dress. Amp up the cool of your ensemble by finishing off with Jeffrey Campbell De Facto Ankle Boot from Urban Outfitters. If you're after a casual yet stylish ensemble, consider wearing a charcoal print open cardigan and a black lace shirtdress. As well as super comfortable, both items look great paired together. Up the cool of your ensemble by rounding it off with black chunky leather ankle boots. If you're in search of a casual yet totaly chic outfit, marry a brown leather bomber jacket with blue flare jeans. As well as super comfortable, both of these pieces look great when worn together. Bump up the cool of your ensemble by finishing off with Jeffrey Campbell De Facto Ankle Boot. If you're all about being comfortable when it comes to fashion, this combination of a black and white print cropped top and a black skater skirt is totally for you. Elevate this look with Jeffrey Campbell black chunky leather ankle boots.